Born in Portland, Oregon, Columbia Sportswear Company have been manufacturing reliable outdoor gear for more than 70 years. The journey started way back in 1937, when the Lanfrom family fled from Nazi-controlled Germany prior to the start of World War II. The Lanfroms resettled in Oregon and the following year, the family, led by Paul Lanfrom, bought a small hat franchise called Rosenfeld Hat Company, later swapping it to the Columbia Hat Company. But Columbia wasn’t always the iconic name we know of today. In its humble beginnings, the company maintained a low-key presence in the Portland area, only working as a small manufacturing firm which was capable of supporting Paul Lanfrom, his wife Marie, and their children in their new life in the United States. The 80’s brought a period of explosive growth for Columbia. Vice President Don Santorufo had employed Korean nationals to supervise trade overseas and this offshore production allowed the company to produce its apparel at a considerably lower price. Another pivotal factor in the company’s rise was the introduction of what Columbia designers dubbed the Interchange System. This practical and versatile piece of apparel consisted of a lightweight shell jacket and an insulating liner that zipped together, providing the wearer with three separate jackets for various weather conditions. These two key factors paved the way for Columbia to grow in the 80’s, but there was another key ingredient. The ‘Bugaboo’, a skiwear parka released in 1986, was the company’s first venture into skiing apparel, and by the end of its debut the year the garment was ranked the highest selling parka at its price in the industry. 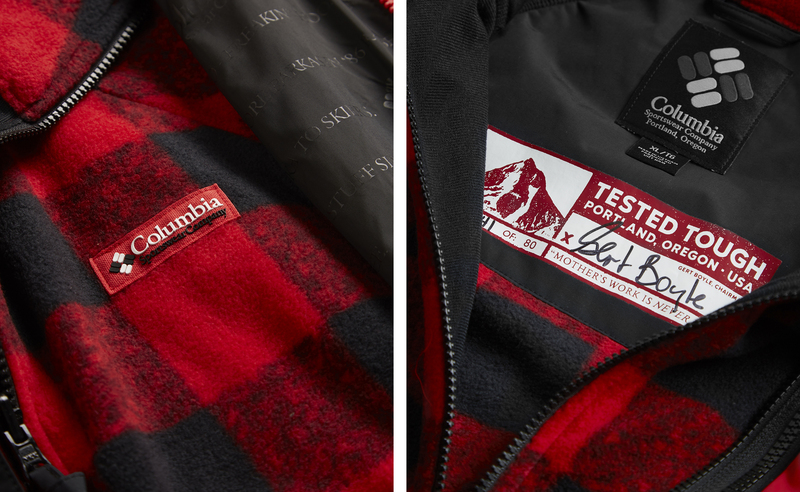 This elevated Columbia to new heights and placed them in the same league as the largest outerwear companies in the United States. The Bugaboo had skyrocketed sales from $18m to nearly $80m in just two years. Columbia’s ski sales now stampeded past all other rivals in the country’s ski industry, and this success was underpinned by a series of popular television endorsements that would cement their name in the outdoor apparel industry forever. The iconic Bugaboo Jackets makes a return this year in celebration of the Brands 80 Year Anniversary, with two very special interpretations. 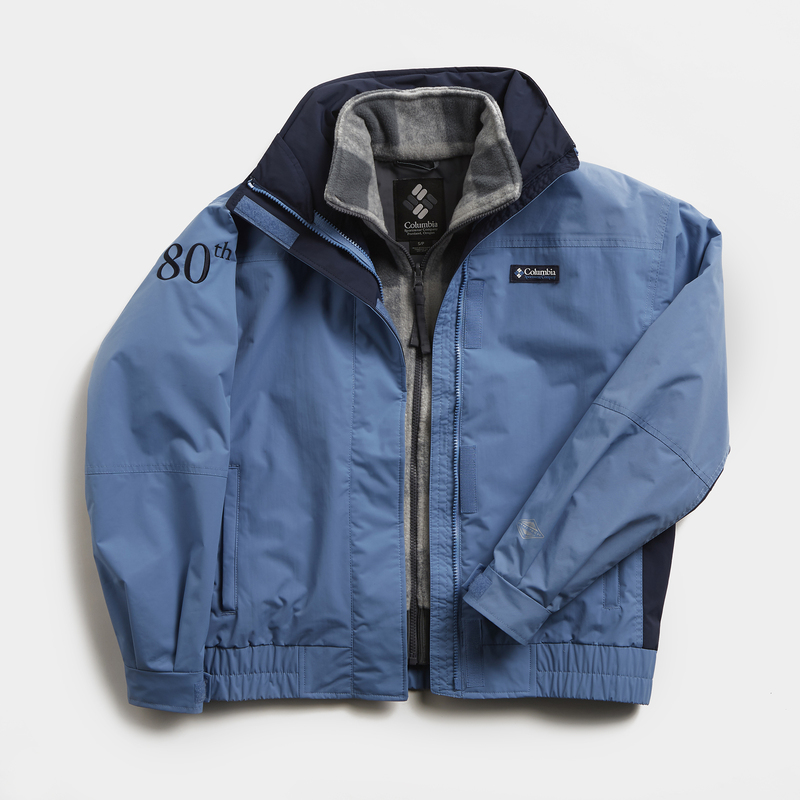 Each jacket is individually signed and numbered by Chairman Gert Boyle, the longest serving member of the Columbia Family and the famous face of the brand in the modern day. The inside lining of the jacket also contains several of Gert’s famous quotes which have been immortalised in advertising media over the years. 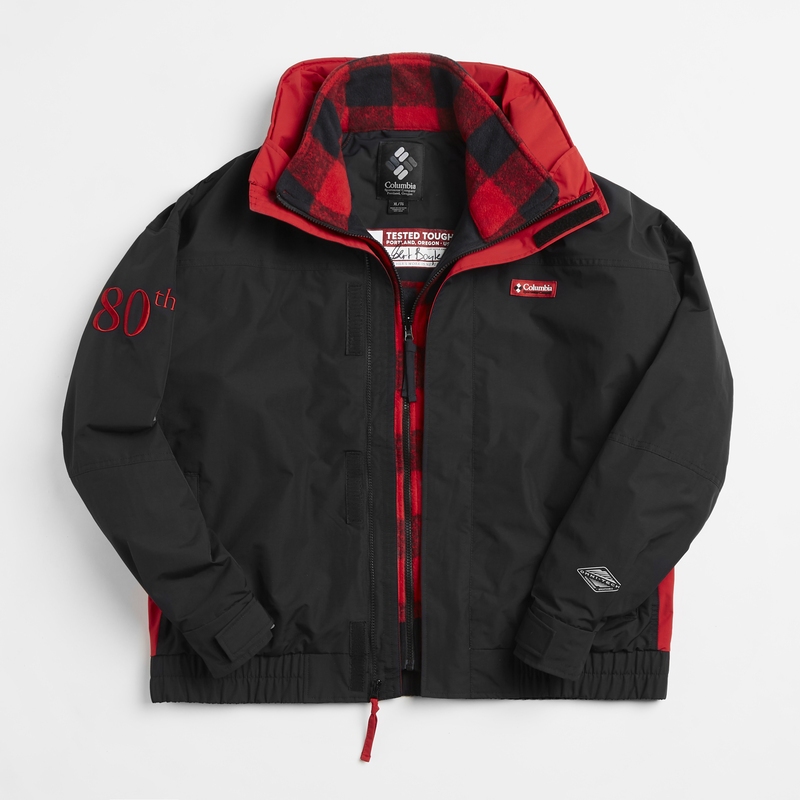 Additionally, embroidered ’80th Anniversary’ branding is located around the collar and right arm to call out the milestone. Creating one colourway for each gender, the Black/Red is available in Mens sizes, and the Blue/Grey is sized down for women. 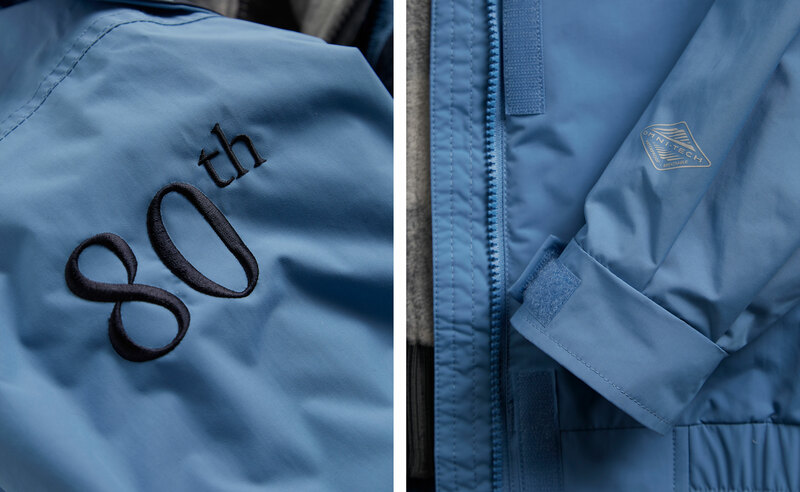 Both colourways of the Columbia 80th Anniversary Bugaboo Jacket are available online and in selected size? stores now, priced at £200.